/ Modified may 15, 2018 1:52 p.m.
Economic impact of park grows 20 percent in one year, the agency said in an annual report. The entrance to Saguaro National Park east. 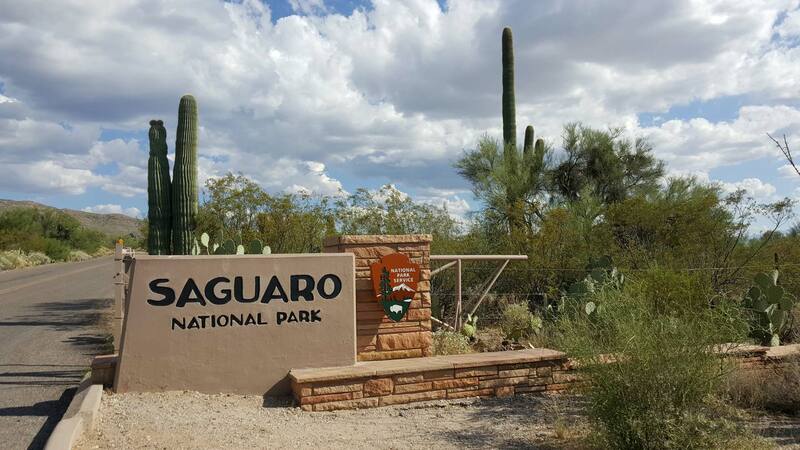 The National Park Service says Saguaro National Park added almost $90 million to the local economy last year. The annual report from the park service on its economic impact concludes that Saguaro National Park contributed $88.7 million to the area economy in 2017. The report claims visitors to the park spent nearly $61 million, and their business added 866 jobs to the community. Those numbers pale next to some other parks. Visitors to the Grand Canyon spent the most last year — nearly $667 million, according to the report. But the numbers for Saguaro are also a major jump from the year before. The park recorded almost 1 million visits last year, up 18 percent, and the $88 million "economic output" of the park is a $14 million jump from the year before. Park Superintendent Leah McGinnis says the unexpected surge in visits was likely the result of a sustained effort to grow the park's ties to the community. "This past year, we have spent a lot of time doing additional outreach into the surrounding community and trying to engage the local community in what's going on at the park, kind of bringing the park to them, and I think we're seeing some return on that investment," McGinnis said. McGinnis says a year of relatively good weather also helped attract more visitors. It's uncertain whether that growth will continue. Saguaro and many other national parks plan to raise their entrance fees next year. The park's entrance fees will go up from $15 to $20 per car to pay for repairs and maintenance. McGinnis predicts the increase will have little effect on the park's popularity, based on past experience.